The SuperShift Group is committed to respecting your privacy and protecting your personal information. We are bound by the Privacy Act 1988 (Cth) and the Australian Privacy Principles, along with any other applicable privacy laws and codes, when collecting, using, disclosing, holding, handling and transferring any personal information. Where practical and legally permissible to do so, you have the option of providing information to us and dealing with us anonymously or by using a pseudonym. At the SuperShift Group, we have ongoing practices, procedures and systems in place to ensure that we manage personal information in an open and transparent way. Further information about these practices, procedures and systems are contained in our policy set out below. “SuperShift Group” (also referred to as “we”, “us” or “our”) includes SuperShift Australia ABN 81 155 433 891(wholesale services), SuperShift IQ Pty Ltd ABN 48 159 342 382 (SMSF and accountancy services) and SuperShift Australia Loans Pty Ltd ABN 31 156 520 633. “SuperShift Group” means an applicable entity in the SuperShift Group. “SuperShift Group Website” means a website or mobile application owned or operate by an entity in the SuperShift Australia Group of companies. We will generally collect personal information which is reasonably necessary to offer and administer our services and products and those offered by SuperShift Australia Group (including investment advisory services, insurance advice and consulting). The type of information we collect will depend on which of the companies in the SuperShift Group you do business with and the type of product or service you request. Generally, however, we may collect information such as your name, contact details, date of birth, gender, financial and employment details and superannuation details. For some of our products and services, we may also need to collect sensitive information about you. This may include information about your bankruptcy history or heath information in relation to life, heath, and sexual preferences. We will generally only collect and hold such sensitive information where reasonably necessary to perform our engagement and with your consent. Alternatively, we may also collect your information from other companies with the SuperShift Group, third parties such as our affiliates, Authorised Representatives or other third parties such as Administrators, employers, insurance companies, insurance brokers or agents, credit organisations, financial institutions, medical professional, statutory and regulatory bodies, marketing lists and industry databases, publicly available sources etc. Upon your request, we will take reasonable steps to let you know how we have sourced your personal information unless it is obvious from the circumstances that you would know or would reasonably expect us to have the information (such as where we are dealing with your advisors). 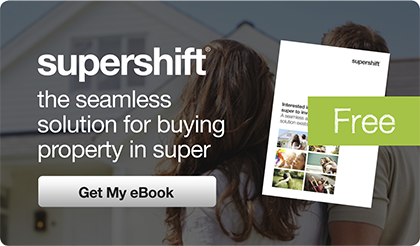 Are there any other ways the SuperShift Group can collect your personal information? The SuperShift Group or its affiliates may collect information during your visit to a SuperShift Group Website through the use of cookie technology. By using a SuperShift Group Website and associated microsites, you agree to the processing of your personal information as explained in this Privacy Statement, including placing cookies on your device as described in the Cookie Notice. We collect personal information from SuperShift Group Websites to fulfil your request for products and services and to improve your online experience. We strive to limit the amount of information collected to support the intended purpose of the collection. In some instances, the SuperShift Group or its affiliates automatically collect certain types of information when you visit our websites and through e-mails that we may exchange. Automated technologies may include the use of web server logs to collect IP addresses, “cookies” and web beacons. The collection of this information aims to allow us to improve the effectiveness of the SuperShift Group websites and our marketing activities. The SuperShift Group Websites may contain links to other sites which are outside our control and are not covered by this Statement. If you access other sites using the links provided, the operators of these sites may collect information from you which will be used by them in accordance with their privacy statement. We encourage you to read the privacy statements on other websites you visit. SuperShift Group is not responsible for the content or privacy practices of linked sites or any use of those sites. Please be aware that the SuperShift Group Websites may contain links to sites maintained by other SuperShift Group entities that are not governed by this Statement but by other privacy statements that may differ slightly from this Statement. We encourage you to review the privacy statement of each website you visit. You may apply for employment with the SuperShift Group through our websites. Any information submitted for the purposes of applying for employment with the SuperShift Group will be collected, disclosed and held in accordance with this Privacy Statement. Otherwise, our employee records are exempt from the Act and are not covered by this Privacy Statement. You can engage with us through social media websites or through features such as plug-ins or applications on SuperShift Group Websites that integrate with social media sites. You may also choose to link your account with us to third party social media sites. When you link your account or engage with us on or through third party social media sites, plug-ins, or applications, you may allow us and our affiliates to have ongoing access to certain information from your social media account (e.g. name, e-mail address, photo, gender, birthday, the posts or the ‘likes’ you make). Otherwise, unless we hear from you by one of the means set out in this Privacy Statement, by visiting an SuperShift Australia Group Website or using any of our products or services, or otherwise by providing us with your information, you agree to your information being managed in accordance with this Privacy Statement. You may modify or withdraw your consent at any time by completing a Personal Info Request Form and submitting this form to us as directed on the form. If you do not give us consent or subsequently modify or withdraw your consent, we may not be able to provide you with the products or services you want. We will generally only use and disclose your personal information for the purpose that it was collected, any related purpose that you would reasonably expect us to use or disclose it for, or as permitted under this Privacy Statement or under law. The SuperShift Group otherwise has a duty to maintain the confidentiality of its client’s information unless disclosure is permitted with your consent or compelled under law. Entities related to the SuperShift Group for the purpose of offering you other products and services (provided, you have not elected to opt-out of receiving such information). As indicated above, unless you notify us otherwise, we may use your personal information to let you know about products and services from across the Group or our affiliates and business partners that we think may be of interest to you. You can choose not to receive this information from us (including product or service offerings from us on behalf of our affiliates and business partners) or related bodies by contacting our Privacy Officer, your SuperShift Group representative or by completing and submitting a Personal Info Request Form. What is our approach to disclosing your information to third parties? The SuperShift Group may disclose personal information to third parties who we believe are necessary to assist us in providing the relevant services and products to our clients or to enable them to offer their products and services to you. For instance, we disclose personal information to the relevant product provider and their representatives, our agents and contractors and related companies (including our Authorised Representatives). We generally limit, however, the use and disclosure of any personal information provided by us to such third parties for the specific purpose for which it was supplied. In these circumstances, The SuperShift Group will generally take reasonable steps to ensure we have contracts in place that contain an obligation for them to comply with the Act and the Privacy Statement (to the extent applicable). We will also make every effort to ensure that we only have business dealings with third parties that value privacy and information security the same way as us. We take reasonable steps to protect personal information from misuse, interference and loss and implement physical, technical and administrative security standards to secure and protect your personal information from un-authorised access, modification or disclosure. Further information about our data security practices can be provided on request. Notwithstanding the above you should be aware that no data protection and security measures are completely secure. Despite all the measures we have put in place, we cannot guarantee the security of your information, particularly in relation to transmissions over the Internet. It may also not be practicable to know in which country your information may be held where networked or electronic storage solutions are adopted. Accordingly, any information which you transmit to us is transmitted at your own risk. You must take care to ensure you protect your information (for example, by protecting your usernames and passwords, policy details etc.) and you should notify us as soon as possible after you become aware of any security breaches. If we do not provide you with access or refuse to update your information, we will provide you with the reason for refusal and inform you of any exceptions relied upon. Your request to provide information will be dealt with in a reasonable time from receipt of your request and we may recover from you our reasonable cost of supplying you with this information.